Cranberry Lime Cocktail – 2 shots Skyy Vodka over ice, fill the rest of the cup with seltzer water, add a splash of cranberry juice and a squeeze of fresh lime. This is why you should try it. This is drink has a summer feel but I actually first made it at a family Christmas party and it’s turned into my mom’s favorite. It has virtually no other calories than the calories in the vodka and the fresh lime adds a ton of flavor with nothing extra. Skinnygirl Products – just open the bottle, pour over ice and enjoy. This is why you should try it. For a good go-to low calorie drink I always turn to the Skinnygirl products. They’re reasonably priced and they don’t need to be mixed with anything. I’ve tried both the margarita and the sangria and I can’t wait to try Bethenny’s newest creation: The white cranberry cosmo. Skinnygirl is sold pretty much everywhere from your local grocery store to any liquor store. It’s also much healthier to have a glass or two of SkinnyGirl before hitting the bars than the usual 4 or so beers. Ok now that you have a good buzz going, I’ll give you some tips on how to keep your buzz AND your slim waistline. Cut yourself off before you even get to the bars: Pre-determine how many drinks you’ll have that night before you start drinking and stick to it. Now of course there are going to be many times this doesn’t work out, but at least you have a guideline. Pick a drink you know you’ll drink the slowest: It’s very difficult for me to drink beer slow, whether I’m out with friends or at dinner with my parents (it must be some kind of college survival tactic kicking in). Red wine on the other hand I’ll drink much slower and will usually pass on a second, third or fourth round. Choosing whatever this drink is for you helps you cut down on calories and save money in the process. Think twice about your mixers: Like I mentioned above, pop and other juices are just added calories to any mixed drink. Try choosing a flavored water like Crystal Light to mix and if you’re missing the bubbles you get from the pop, throw in some carbonated water. Eat a good meal before a night of drinking: This cuts down on those late night munchies. Eat something with whole grains, lean protein and healthy fats. Eating a balanced meal before you start drinking will keep your appetite in check later on. Don’t start snacking: A lot of bars have peanuts, pretzels or some other snack that’s free while you’re there drinking. Once I start it’s hard to stop, so it’s better to just not even start. When you get the urge to dig in think about all the unwashed hands that have shared one bowl. Gross. For further reading and some definitive calorie counting check out Diet-Friendly Alcohol Choices. Now you can enjoy going out even more because you can stay healthy while having fun with your friends. I’d love to hear about any low calorie recipes you’ve tried and enjoyed, so feel free to share them. Until then, cheers! *This post does in no way, shape or form encourage underage drinking. Please do not try to make any of the listed recipes if you are under the age of 21. I enjoyed reading this blog and thought it was very relevant to college students. What are some other low calorie beverages that can be mixed with alcohol because I do not like seltzer? It would be beneficial to include the cost to make these drinks. Are they price efficient? 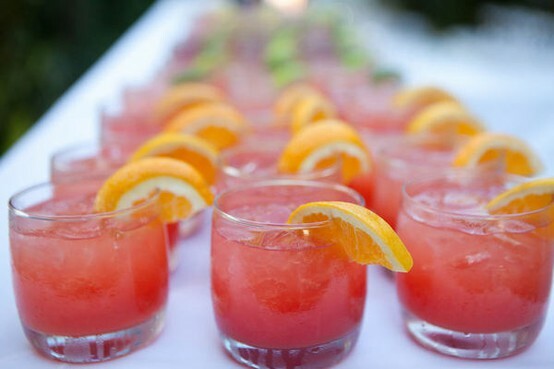 Another good way to save calories is to soak liquor into fruit. It has fewer calories than soda and is also delicious. You can try using a carbonated flavored water instead of seltzer. It has zero calories and comes in a ton of different flavors! Prices can vary depending on where you get the alcohol and mixers, so I didn’t include them in this post, but they are definitely cost efficient. The cost is the same if not less then the higher calorie versions. Thanks for including your own low-calorie option; it’s another one of my favorites! I liked reading your post. Apart from it being relevant to college life, your writing style was easy and fun to read. Although you mentioned the Skinnygirl drink, I missed some mix drinks that did not include Vodka but something else. I’m not a huge Vodka drinker myself. The age normally get into college is around 18 or 19. Do you have any recommendations for those who are underage? 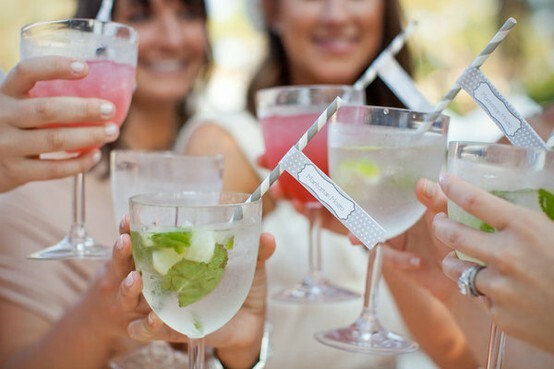 Like nice mocktails that are low in calories or what we could replace the Vodka for. I haven’t tried out any low-calorie mocktails myself, but I found a website that featureslow-calorie mocktails that sound really yummy. If you try any let me know how they are!